In order to generate ad revenue, a site needs a lot of visitors. Visitors can be acquired via paid advertizing or they can be referred to a site for free by search engines. In order to get visitors by search engines, a site has to be ranked higher in search results. The process of optimizing a site to be ranked higher on Google or any other search engine is called search engine optimization or SEO for short. This SEO tutorial for beginners gives you SEO tips and SEO techniques to learn SEO that can help in getting your website better rankings on search engines. First lets look at various assumptions. We believe that unless these assumptions are met good SEO may not be easily achieved. That is, the site should not contain content that’s already present on another site. It is generally a beginners mistake to copy content from other sites and try to get it ranked higher in search engines. No matter how much of an SEO is done, non unique content will never outrank original content. That means it should not be a very new website. If its fairly new it does not mean that SEO will not help but it just might take sometime before search engines give good results. Beginners should be patient as it takes up to 6 months for search engines to start ranking new sites in the search results. Here we look at the list of SEO steps and techniques with examples to understand how SEO can be increased on any website. Try to follow these SEO tips to be successful in getting your site high Google rankings. Identify a SEO friendly keyword that your target audience is searching for in the search engines. Make sure that your domain name has that necessary keyword in it. This is not a huge deal but it is good to have from SEO perspective. Do not get a domain name which is too large as visitors should be able to remember it. If they remember it, they can easily come back. Most beginners make the mistake of not picking a relevant domain name. Use of redirection from one web page to another if two pages serve the same content. This is considered great optimization from Google SEO perspective. For example: Note that www.teqlog.com is a subdomain for teqlog.com. These are two different URLs pointing to same home page. Therefore it is recommended to have one redirect to another. 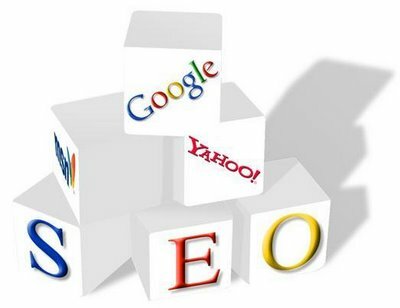 This helps search engines treat them as one and achieves better SEO. It is generally a beginners misconception that more pages means more visitors. This is only true if the pages are serving different content. All beginners should understand 301 redirects mechanism to achieve redirection. As a test try to type teqlog.com in your browser and you will be taken to www.teqlog.com right away. Details on how to perform redirection can be found here. Find good keywords for any new content on the site. This would give an idea on what keywords should be targeted for the next post. For example: If you are writing about electronics, your keyword can’t just be electronics rather it could be “Latest electronics news” or “Tutorial on I phone hardware”. Of course the keyword should match the content of your site or post. This is one of the most important SEO factor often overlooked by beginners. A title tag is one of the most relevant indicators of content to search engines and hence has high SEO significance. A title should contain all the relevant keywords. A page title is shown on search results as well as on top of Firefox/Mozilla browsers while browsing the page. It takes time for search engines to discover new pages of a site. Even Google might take some time to discover them. If you have a sitemap then search engines can use it to discover pages much faster. After creating a Google webmaster account upload your sitemap there. This step is quite important for Google SEO. Remember that good Google SEO means very large number of visitors to your website as Google will send most visitors to your website. SEO link building is probably the most important step for SEO. Beginners should understand that Back links cannot be gained overnight. This is a rather slow process. There are 2 types of back links: follow and nofollow. The ones that are nofollow do not help with respect to Google rankings while the ones that are follow do help. With that said nofollow are not that bad if placed in relevant blogs. Visitors can click on these nofollow back links to get to your site. You can differentiate between a follow and nofollow link with help of Search Status Firefox add on. To get back links, find blogs that are about your market/niche and comment on those. Google alert is an excellent tool that can search and send you blogs relevant to your niche. Recently website load speed has become a factor for SEO. Install page speed plug-in on Mozilla/firefox browser and test your page speed. Try to get a score in 80s out of 100 as a benchmark. Check speeds of other similar sites also to get an idea. Any content that is not relevant or optimized should be blocked from search engines using robots.txt. Beginners should spend a little time in trying to understand the syntax for robots.txt. Following list of tools will greatly help you to perfect SEO techniques. This SEO tool analyzes the keywords for any webpage on your website. You can access is here. It provides information on top keywords and keyword density. Google Adwords provides an excellent tool to find great keywords for your content. This can be accessed here. You would need to complete free registration. A similar tool is Google insights which can be used from here. SEO link building is an important SEO technique. However to find out how many backlinks exist for a website one can use the tool here. This tool provides a lot more information in addition to number of backlinks created via SEO link building efforts. It includes page and site authority information also. Yahoo site explorer also provides number of backlinks that exist for any website. This tool is available here.